KAMPALA: The Inspector General of Government (IGG), Irene Mulyagonja has halted the weekly Tuesday prayers by renown Pastor Elvis Mbonye, after a whistle blower protested the manner in which the contract between the evangelist and National Council of Sports was drawn. Through his company, Zoe Fellowship Ministries, Mbonye had shifted his base from Kyadondo Rugby Grounds to Lugogo Cricket Oval where he was to hold his prayers for the next 24 months. Dr Bernard Patrick Ogwel, General Secretary National Council of Sports, made the pronouncement through his letter on 14th May 2018 calling on cricketers to stay away from the premises on Tuesdays for the coming two years, and went ahead to promise that the grounds will be kept intact, free from any encumbrances. However, the future of Mbonye’s gospel spreading now stands in jeopardy after the IGG asked to have the fellowship suspended until investigations in the matter are completed. In her 5th June 2018, the IGG revealed that her office had received a complaint against the National Council of Sports wherein it was alleged that the Council was operating in a manner characterized by high handiness and general mismanagement of the affairs of the council. Mulyagonja detailed the allegations by the whistle blower saying that the Council was accused of irregularly contracting out the Lugogo Cricket Oval to be used by the Zoe Fellowship Ministries for its massive public prayer rallies much to the detriment and prejudice of the state of the grounds as well as the activities. The Uganda Cricket Association has been in occupation of the Oval since 1966, but with Mbonye coming on board, their days of occupancy have been reduced to 3days, contrary to the weekly usage that was the case before the new developments. The whistle blower was aggrieved by the manner in which the grounds had been contracted out, saying the process was in total disregard for the legal requirements for Procurement and disposal of public assets. The cricketers lamented that the implementation of the terms of this contract will stifle the activities of the various cricket teams and make it impossible for them to prepare for the various tournaments because they will retain the use of the ground for only 3 out of 7days of each week for the duration of the contract. “This will be particularly prejudicial because unlike Zoe Fellowship, which can find another place of worship, cricketers cannot play the game in any place of worship or other place because there is none suited to practicing for and playing their game,” IGG’s letter read in part. Armed with the above allegations, Mulyagonja noted that the accusations indicate that the execution of this contract will not only be unfair to the cricket fraternity, but will also clearly be against public policy. The whistle blower didn’t only raise concerns over how the contract was drawn, but how the proceeds from the contract were accounted for, saying they were irregular and contrary to the requirements of the Public Finance Management Act and other related legal standards. 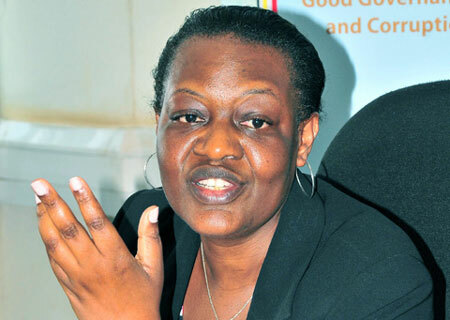 She went on to defend her investigations saying the allegations surrounding the recent contract concerning Lugogo Cricket Oval suggest possible violations of the Law related to disposal of public assets and management of public finances, and it was therefore in the public interest to have the matter be properly investigated to rule out the possibility of abuse of public assets and finances. However, she said that the Mbonye contract is just a drop in the ocean of the rot eating up the Council revealing that the Inspectorate has also commenced a systematic review of the processes and procedures of the National Council of Sports on various other matters that have been brought forward and promised to communicate on the said decay at the Council.